Home / bollywood / Who is doing all Stunts in Baby for Akshay Kumar ?? Who is doing all Stunts in Baby for Akshay Kumar ?? Since Baby movie is announced featuring Akhay Kumar, everyone is looking forward to get a piece of it. 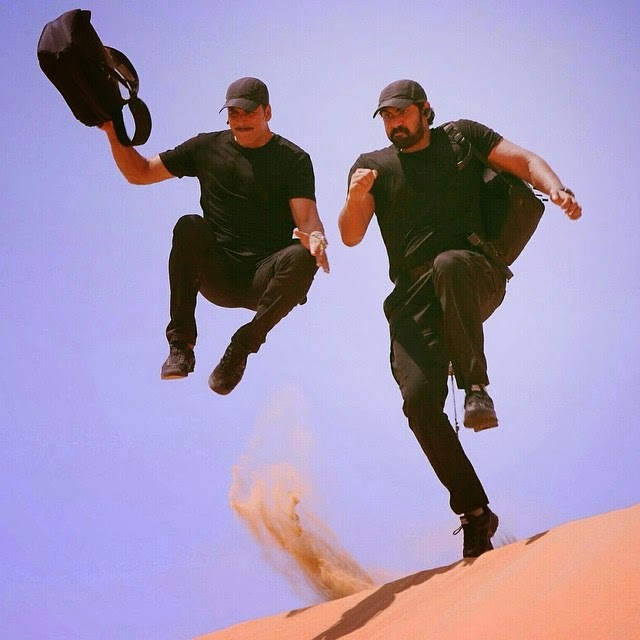 Here are a few stunts being prepared and performed for movie by non other than Akshay, we always know that stunts are close to heart of Athletic Akshay and we cannot stop but get these stills from the sets of Baby. Akshay's words about Baby, "A moment of contemplation!! #Baby isn't just a plot put together for some fancy thrills & spills. We have so many brave people in this country to thank for our safety in this World. As I sat on the burning sand making a film about Terrorism, I was so grateful for the men that really do what I pretend to do, I am just an image, it's the real unsung heroes that we should applaud. 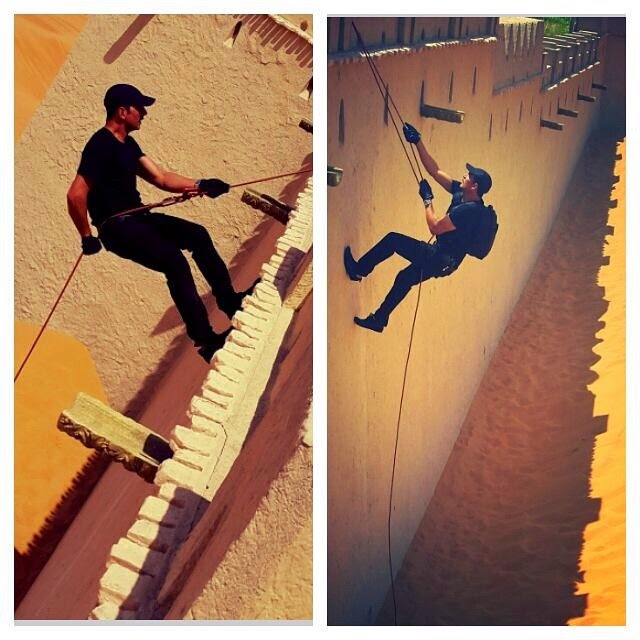 God Bless them all... "
Akshay Preparing himself and getting used to equipment for stunt. Bad heat cannot stop Akshay to perform the stunt and performing as if this is a peace of cake. Also pulling his co-actors into performing stunts and enjoy them. Rana Daggubatti looked equally enthu like Akshay while performing stunts in scorching heat. Saluting this brave heart, who quotes "Forget the 51degree heat, that I could handle ;) But the scorching rock & burning rope on the way down, now that kinda stung a bit ;( Ha! Loved even minute of it #Lovemyjob #Baby"